Hello! 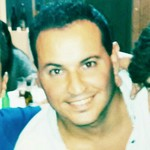 My name is Carlos, I’m a Spanish teacher from Málaga, southern Spain. I’ve been teaching Spanish for foreigners for 4 years. Every day I enjoy more teaching my mother tongue to those students who are interested in learning it. Regarding my teaching style the interaction between teacher and student is really important to me. From my point of view the development of communication skills is essential for the proper learning of a language. Therefore let’s say I’m a teacher that promotes the communicative approach. I also think that other aspects such as grammar and vocabulary are very important, but all this content I try to carry it out in a dynamic and communicative way. ¿Qué frase es correcta? "Juan conduce rápido" o "Juan conduce rápidamente"
What's the difference between Español and Castellano? What's your favorite word in Spanish?